Why ice cream in January? Because weather in Vegas is great and I just got an ice cream maker for Christmas! 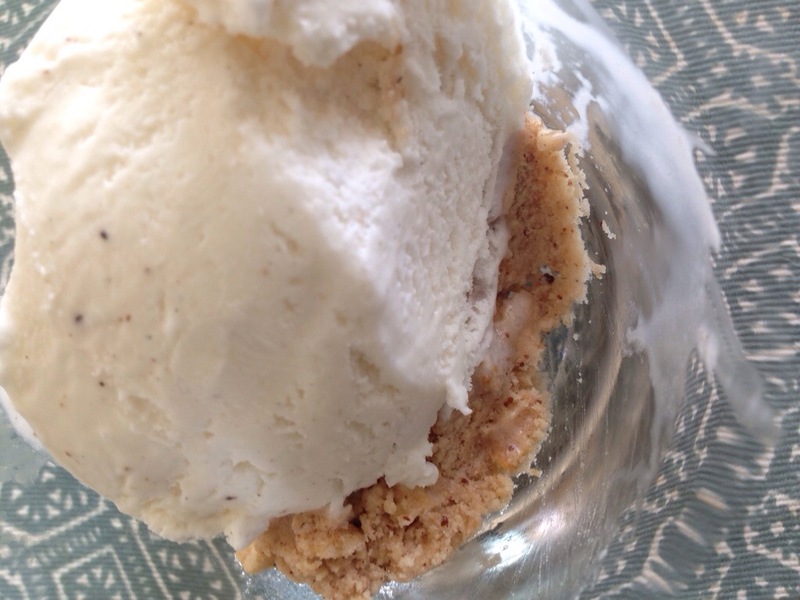 Hear some of the things I’ve learned about the science of making ice cream in episode #71 of the Beta Sandwich Science Podcast. It’s amazing that all the ingredients and steps in making ice cream serve a specific purpose in making a delightfully creamy frozen treat. Next, enjoy this delicious frozen greek yogurt “ice cream” flavored with dry white wine and a splash of lemon juice. (recipe found on serious eats, one of my favorite places to find cooking tips and recipe ideas). 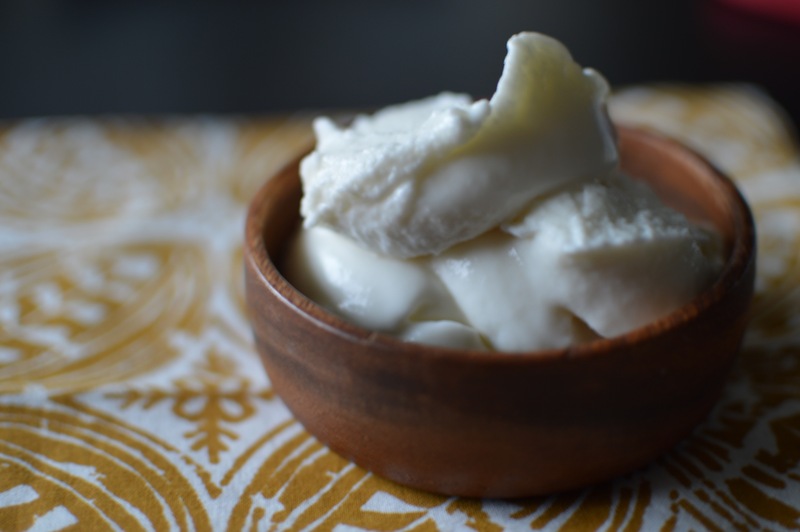 Like they say, the fatty and tangy Greek yogurt brings out the floral, honey, and citrus notes of dry white wine the way that a splash of water can “open up” a scotch or bourbon. Typically, egg yolks are a helpful addition in ice cream recipes because they help to emulsify the base. 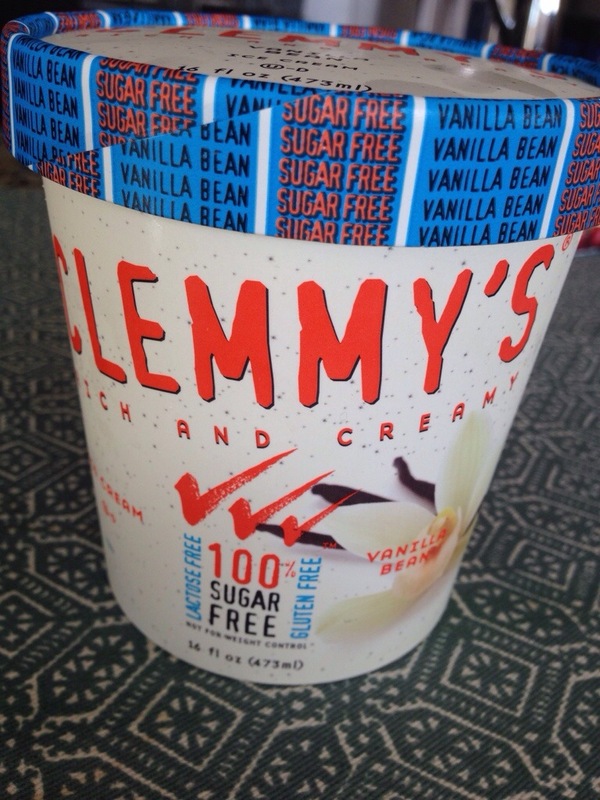 In the case of Greek yogurt ice cream, the high protein content of the yogurt sufficiently emulsifies the mixture. The result is silky, tangy, and sweet. Enjoy! 1. Whisk together wine, yogurt, and sugar in a large mixing bowl until the sugar dissolves and ingredients are well incorporated. 2. Add lemon juice and salt 1/4 teaspoon at a time to adjust the flavor to your liking. 4. 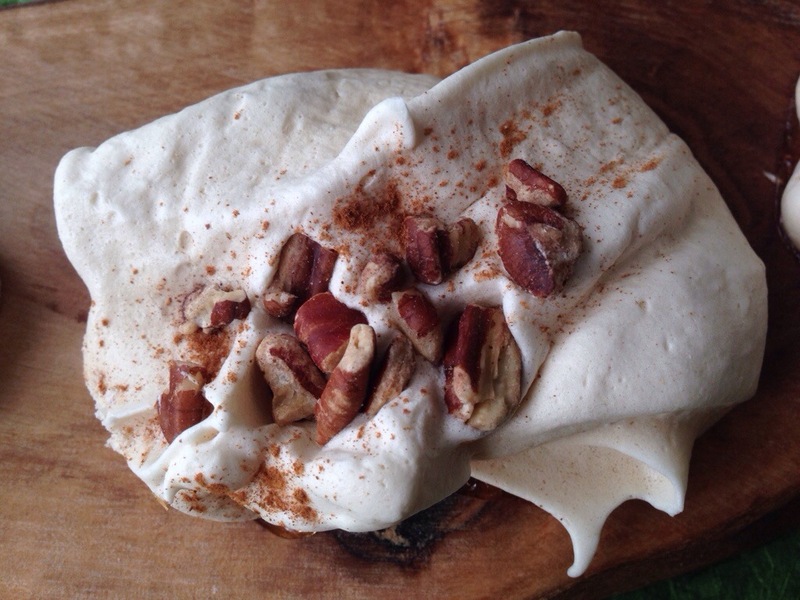 Dish up right away as soft serve frozen yogurt or place in the freezer for a few hours to allow it to harden more. This would be delicious with fresh berries. I don’t think I’ll be buying fro-yo from the store anymore. 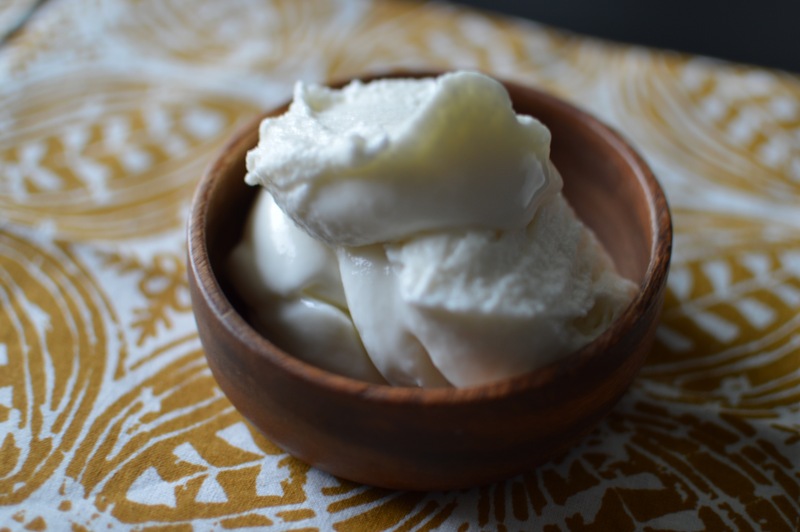 Homemade Greek yogurt ice cream is just so easy and GOOD! Next time I’ll play around with subbing some of the sugar for stevia; it should be great as long as it’s served soft. Fully freezing sugar free ice creams and frozen yogurts can make them very hard, but soft serve shouldn’t be a problem. Hello! 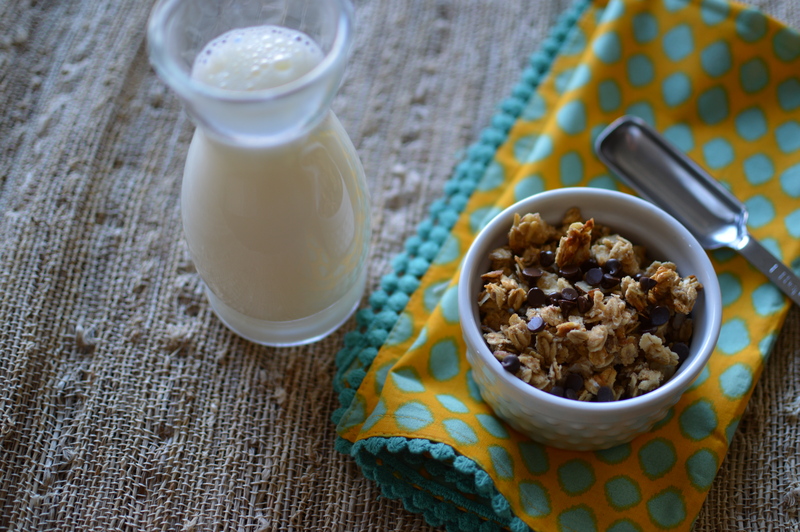 Today I have a patriotic breakfast recipe for you. 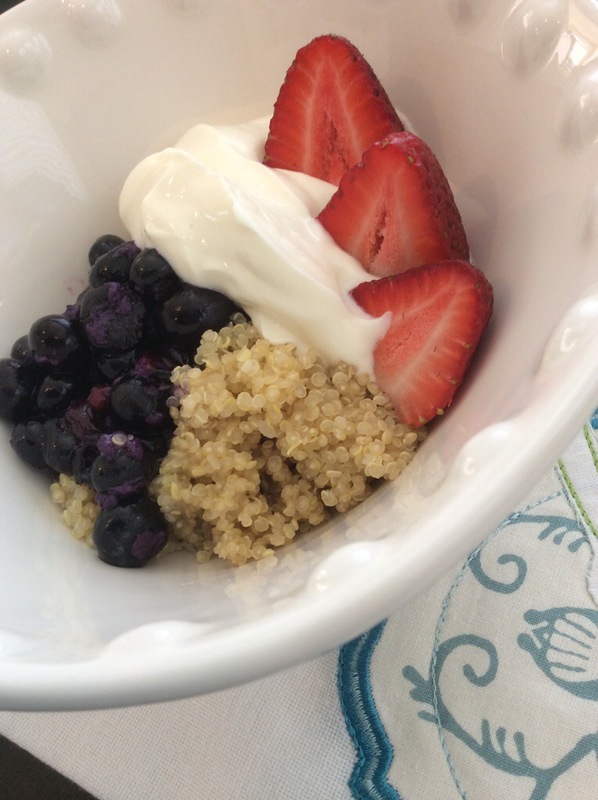 Enjoy this blueberry quinoa topped with greek yogurt and strawberries as a hearty breakfast or guilt-free dessert. 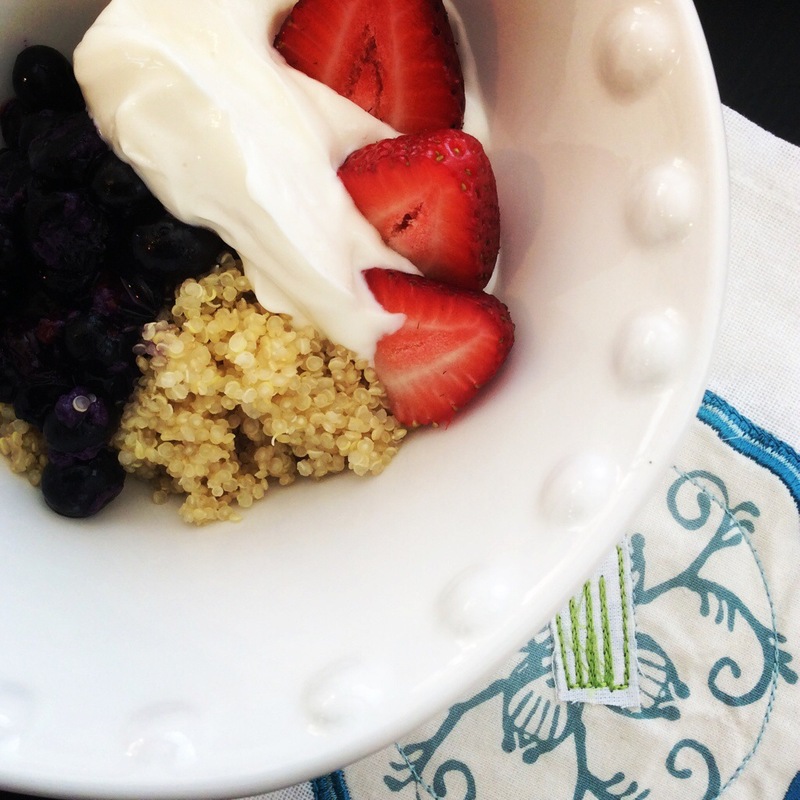 The quinoa is packed with protein and fiber, while the berries provide a healthy dose of antioxidants. The creamy greek yogurt packs enough protein to keep you feeling satisfied until your next meal! 1. Toast the quinoa in a hot, dry saucepan for about 3 minutes, stirring frequently. Add the water, bring to a boil, cover, and reduce to a simmer for 15 minutes or until all the water is absorbed. Fluff with a fork and chill if desired. 2. When ready to serve the quinoa, defrost the frozen blueberries in a saucepan or in the microwave. 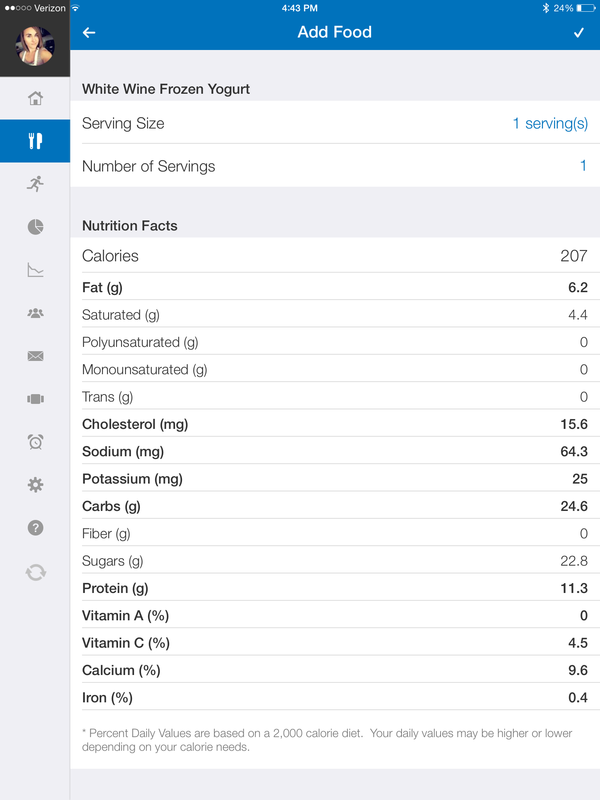 You can add stevia and vanilla extract to the blueberries to enhance their flavor. 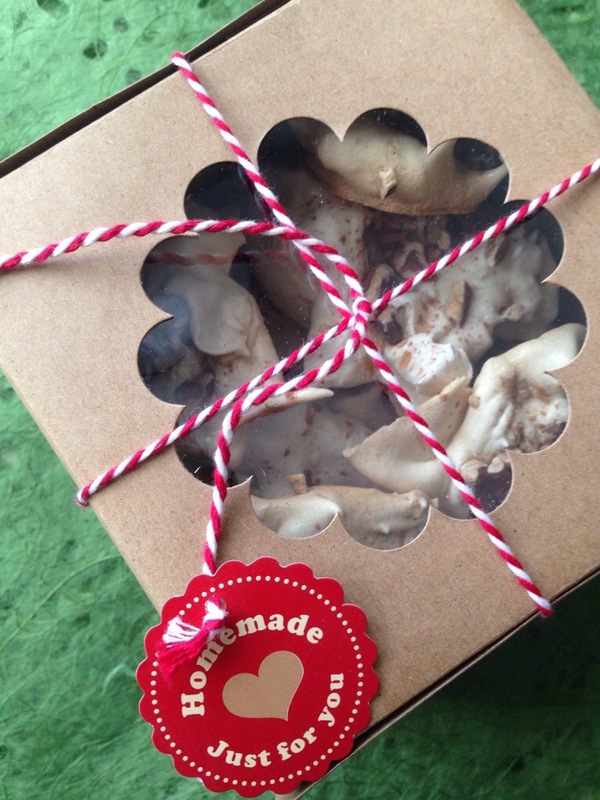 I have another treat recipe for you today! 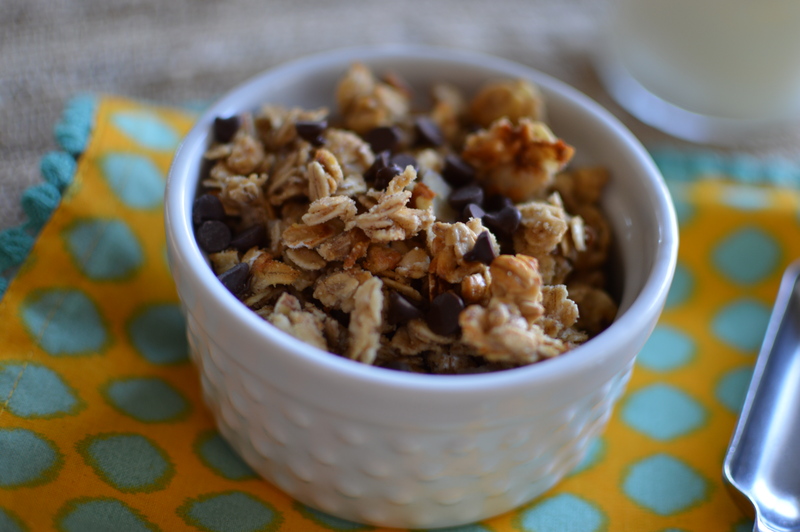 This one is perfect for a leisurely Sunday brunch. 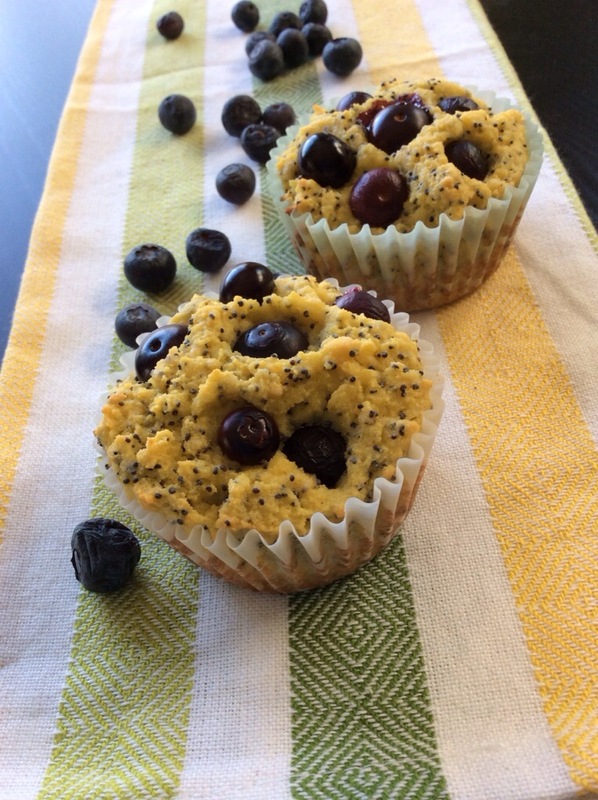 Enjoy these coconut flour lemon poppyseed blueberry muffins with a cup of coffee or tea. If you use stevia and plain greek yogurt in place of honey, these have only 100 calories each! 1. Preheat the oven to 325 degrees. Grease a muffin tin or line with baking cups. 2. Whisk together eggs, honey, lemon juice, lemon zest, vanilla extract, and melted coconut oil in a large bowl. 3. In a separate bowl, mix together the coconut flour, poppy seeds, and baking soda. Get all the lumps out. 4. Stir the dry ingredients into the wet ingredients. The batter should thicken. 5. Distribute the batter evenly among 12 muffin cups. 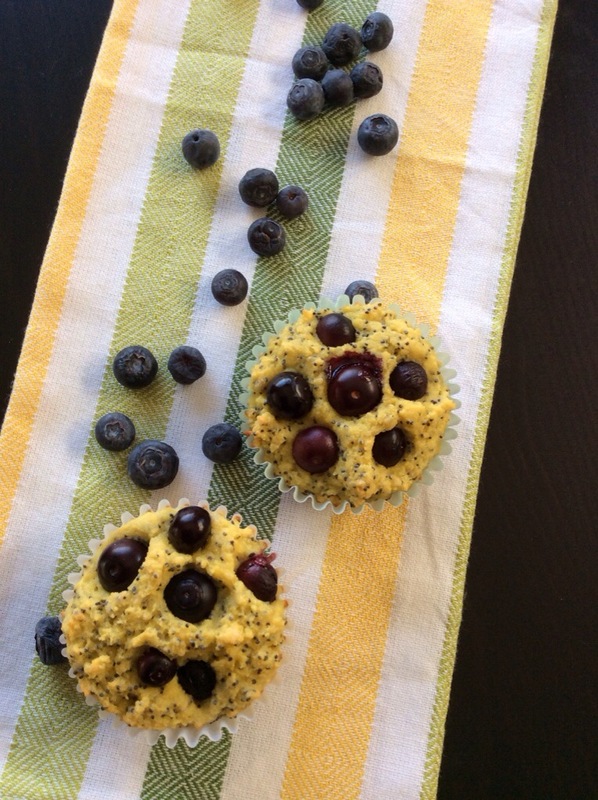 Press blueberries into the batter in each muffin cup. 6. Bake for 20-25 minutes or until a toothpick inserted into the center of a muffin comes out clean. Aren’t they pretty? Tasty too! The batch I made wasn’t sweet enough. I only had a tiny bit of stevia left, so I ended up topping each muffin with some maple syrup and whipped cream… and washing it down with Mimosa. Not quite Paleo that way, but very yummy. Enjoy them your way! 1. Preheat the oven to 325 degrees F. In a large bowl, whisk together the eg, maple syrup, and almond extract. 2. In a separate bowl, combine the almond or pecan flour with the melted coconut oil. Stir it with a spatula to distribute. Stir in coconut flour, baking powder, and salt. Mix the dry ingredients into the wet ingredients. 3. Allow the mixture to soak in for a minute or until thickened. Don’t freak out if it seems thin at first- coconut flour is very absorbent. 4. Form 1 inch balls with the dough, make an indentation with your thumb, and place on a Silicone baking mat or baking sheet lined with parchment paper. 5. Bake for 12-15 minutes. While baking, melt the dark chocolate by microwaving for 10 second intervals and stirring frequently to keep it from burning. 6. 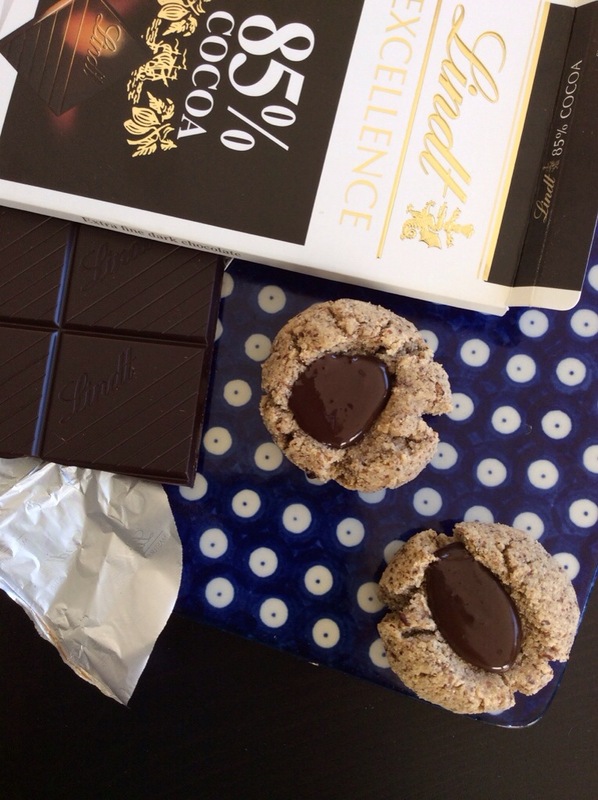 Allow the cookies to cool slightly before spooning chocolate into each cookie. Place them in the freezer for 10-30 minutes to allow the chocolate to harden (or eat gooey!). No artificial aftertaste with these, that’s for sure! They’re rich, chocolatey, and nutty. 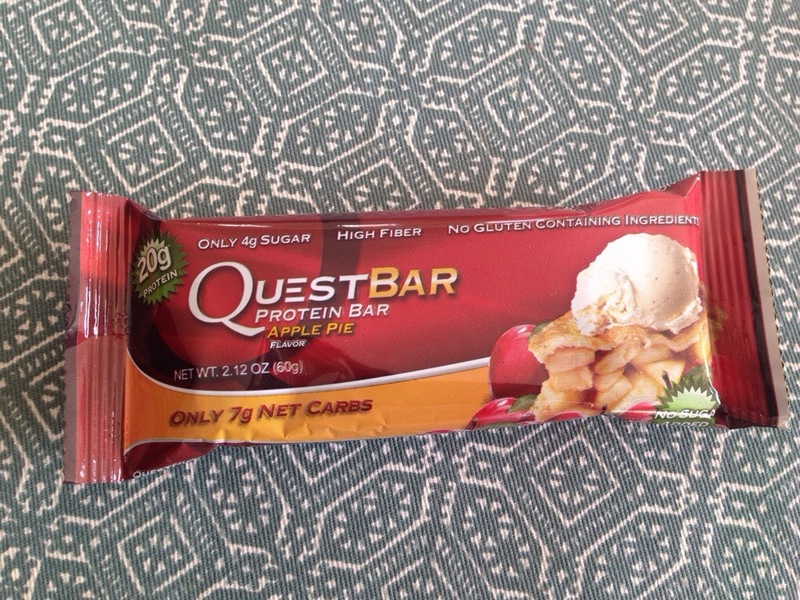 Without further ado, here is a great way to enjoy any Quest bar flavor decadently! 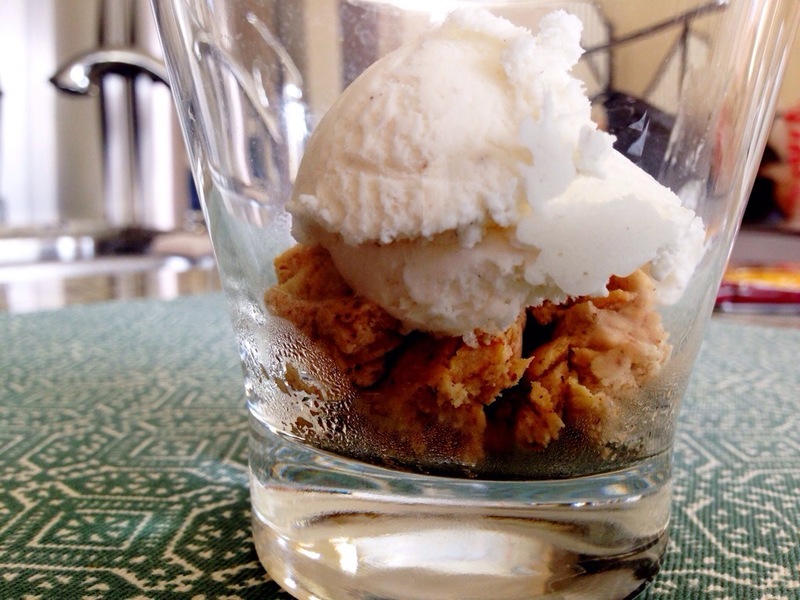 Microwave it for 20 seconds… And top with your choice of ice cream. This one was 75% off at the Albertson’s going out of business up the street. Arctic Zero would probably be the most guilt-free choice, since it’s only 150 calories per pint and basically made of whey protein. Enjoy the warm, melty bar with cool ice cream as your nightly bedtime treat! Let me know if you try this with any of the other flavors! I’ve done it with white chocolate raspberry and apple pie. Both versions were absolutely divine! The apple pie bar has real apple bits and the white chocolate chunks on the raspberry bar melt when you microwave them. YUM! Happy new year! 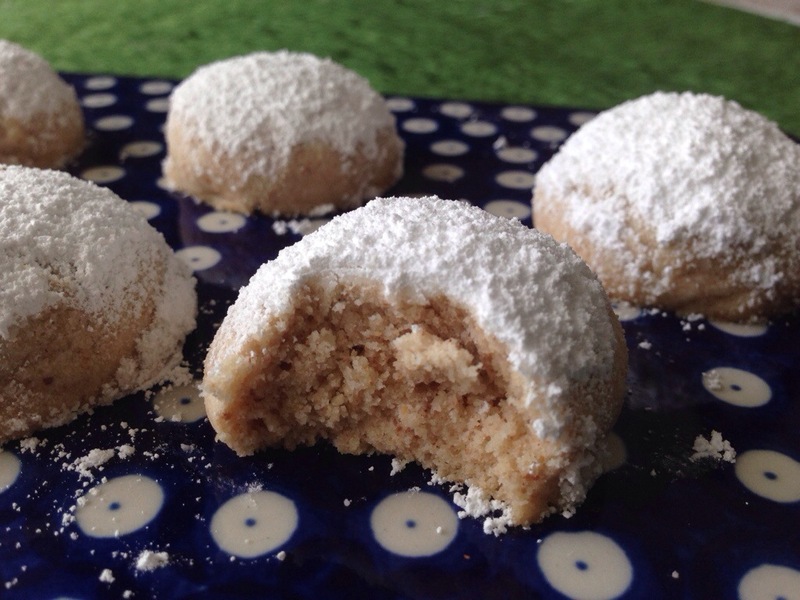 These buttery, crumbly cookies are known as Italian wedding cookies, Mexican wedding cookies, and Russian tea cookies. 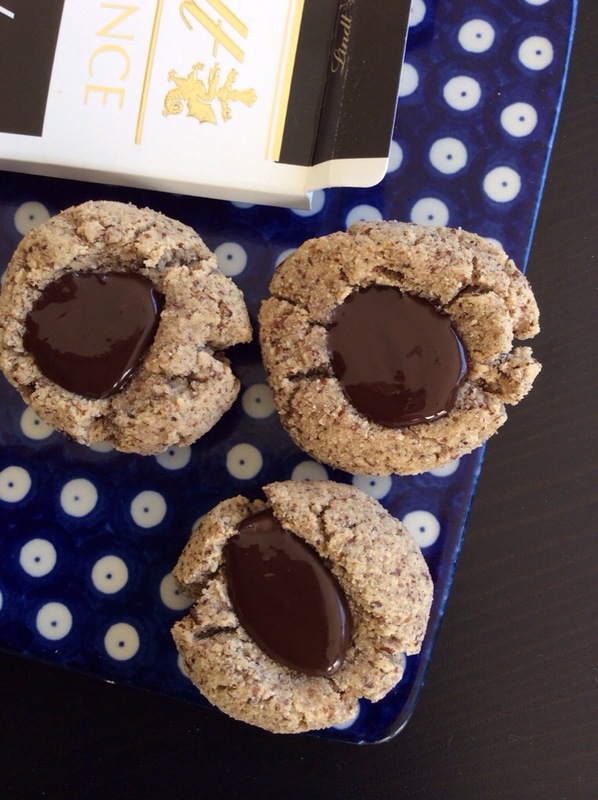 This version uses protein-packed buckwheat flour as part of the gluten free flour blend. 1. Preheat oven to 325 degrees. Cream butter and sugar in a stand mixer. 2. Blend in vanilla extract, almonds, and salt. 4. Roll dough into 1″ balls using your hands. Place on a lightly greased baking sheet. 5. Bake for 15-20 minutes until fragrant but not browned. 6. 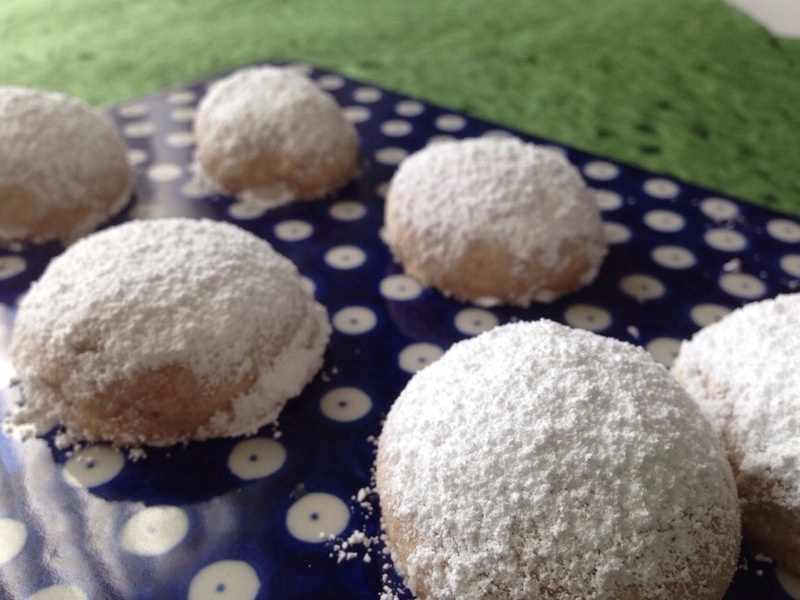 Allow to cool slightly, then sprinkle with additional sifted powdered sugar. Makes about 24 cookies. 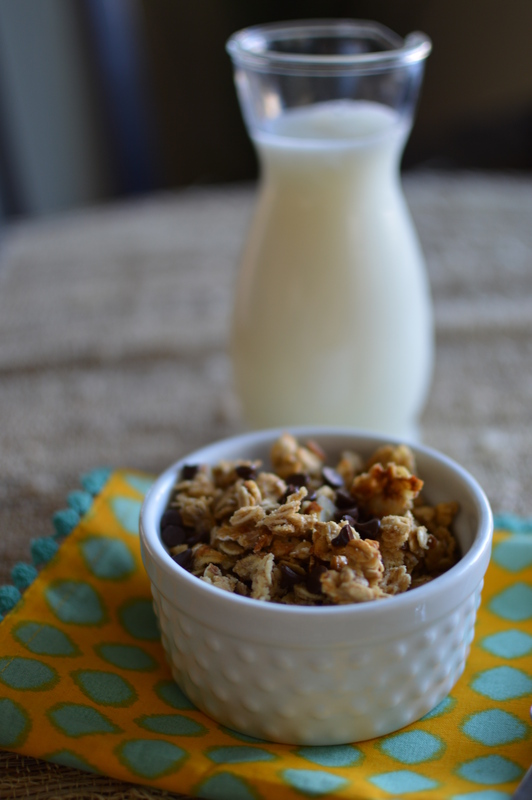 Delicious with a cup of coffee or milk! My mom and I made the regular flour version yesterday with ground pecans. 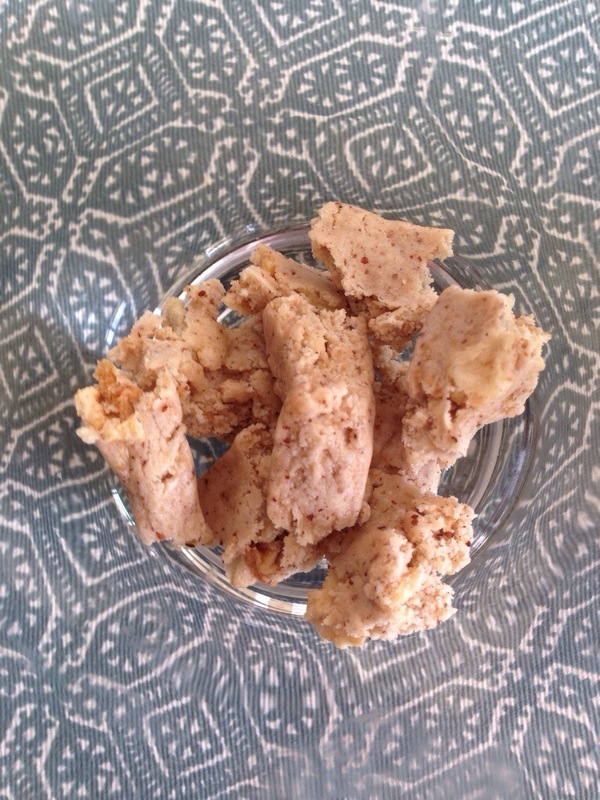 Today I made the gluten free variation with ground almonds. Both versions are tasty! Next time I’ll figure out a paleo modification. My sister lovingly pointed out that it’s been a MONTH since my last blog post! 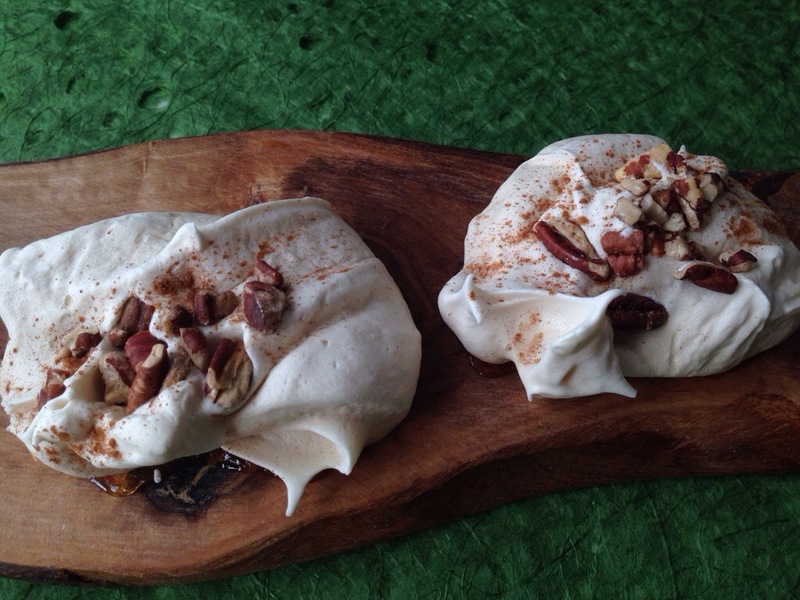 She also said I shouldn’t call these cookies “paleo” because cavemen didn’t bake meringues. Fair enough! These are grain free and refined sugar free cookies then. This recipe is adapted from gourmandeinthekitchen.com. Her photos are beautiful! 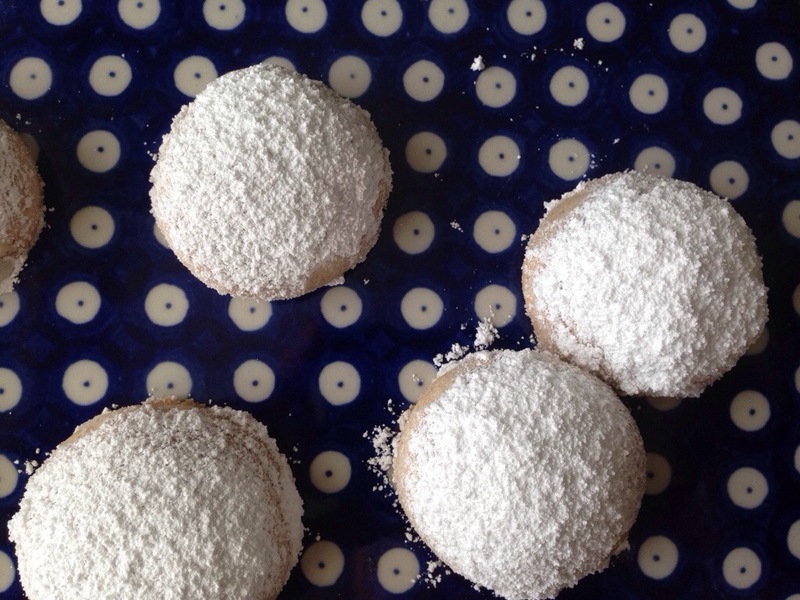 These cookies are light, airy, and amazing. 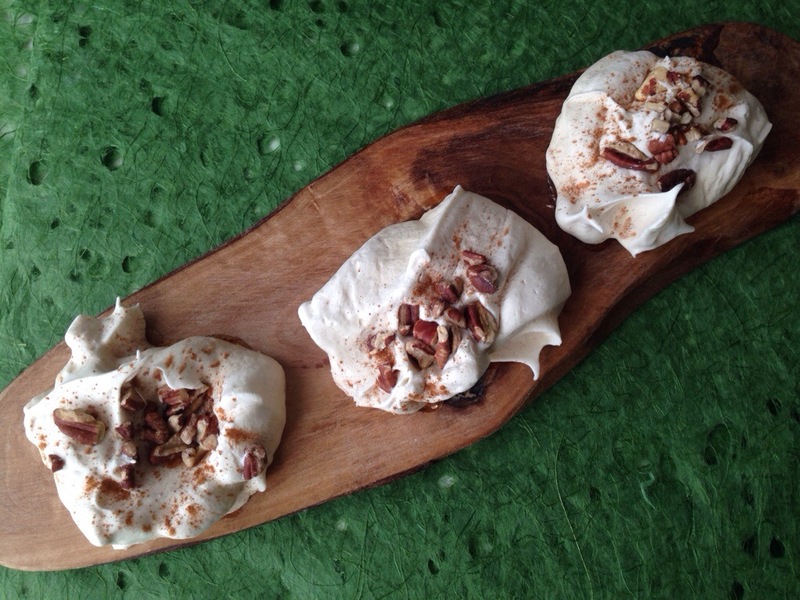 The pecans and maple syrup are a fantastic flavor combination for meringues! 1. Preheat oven to 200 degrees F. Bring 1-2 inches water to a simmer in a small/medium saucepan. 2. Combine egg whites, maple syrup, cream of tartar, and sea salt in a mixer bowl using a spatula. Place the mixing bowl over the simmering water and stir ingredients until the steam has warmed them from below (2-3 minutes). 3. Whip the mixture on medium-high in a stand mixer until smooth, glossy peaks form and the mixture looks like hair mousse (5-7 minutes). 4. 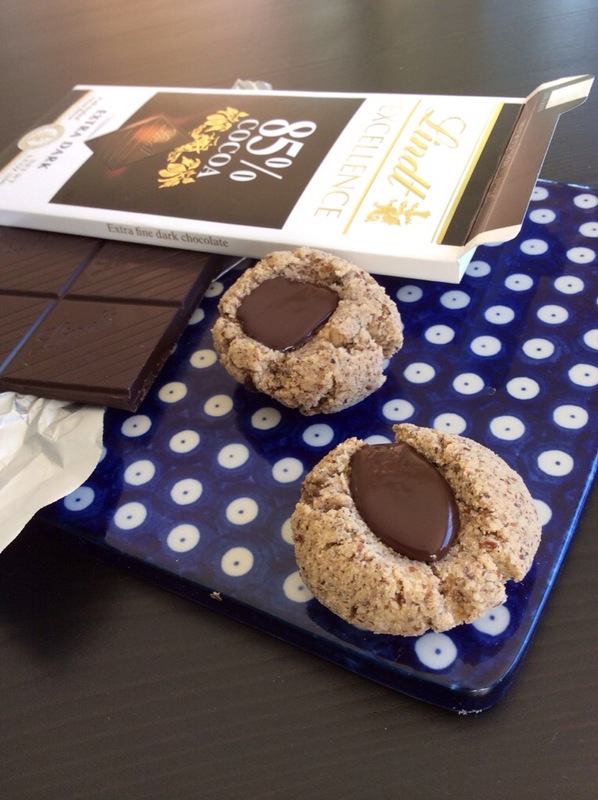 Using 2 spoons, drop the batter onto parchment lined cookie sheets. Space them about an inch apart. You’ll have about 2 dozen large cookies. 5. Bake at 200 degrees for 2 hours, turning the baking sheets midway. 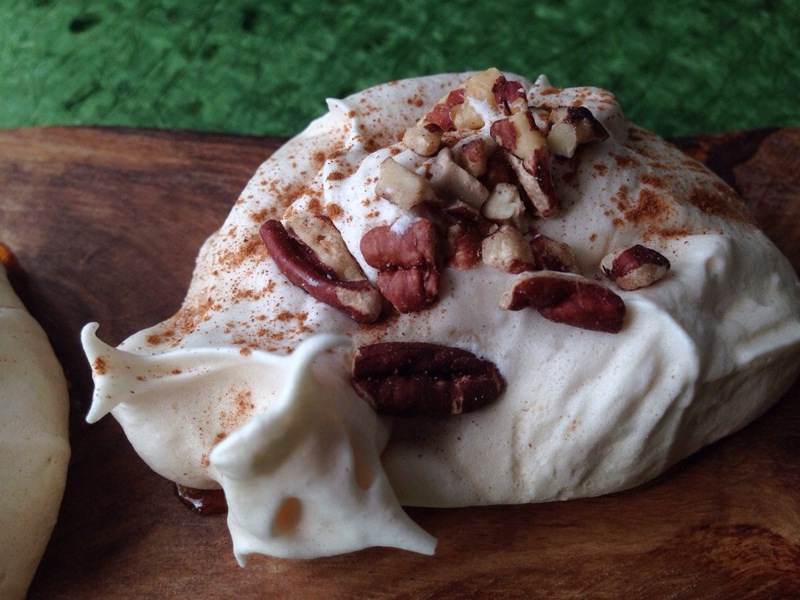 Turn the oven off and let the meringues dry out and cool down overnight. 6. Store in the fridge and eat within a week! 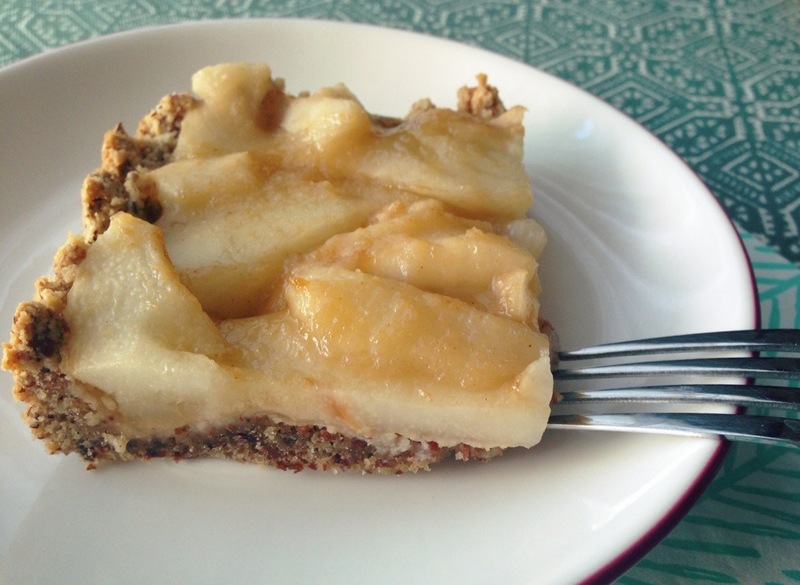 Even non-paleo eaters will love this pear tart! 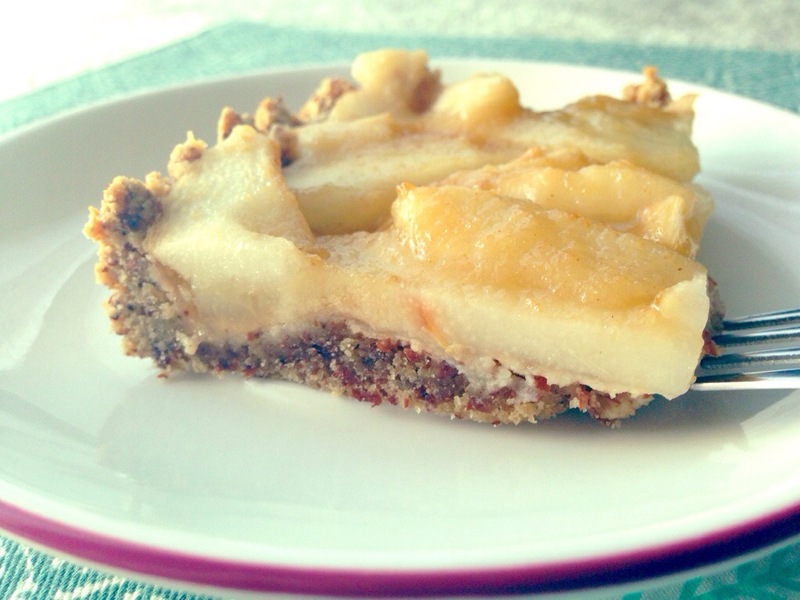 You can use the tart crust recipe with any kind of fruit or filling you like. The crust recipe is nearly identical to the one suggested on http://www.grassfedkitchen.com. 2. Combine all dry crust ingredients in a mixing bowl and stir with a whisk. 3. With a spoon, stir in the cold water and vanilla extract. 4. Mix in the maple syrup and coconut oil with a fork until the dough is crumbly, but not lumpy. 5. Press the mixture into the bottom and sides of a tart pan. Bake for 10 minutes and allow to cool. 6. In a mixing bowl, whisk together the lemon juice, maple syrup, and arrowroot starch for the pie filling. Gently fold in the pears. 7. 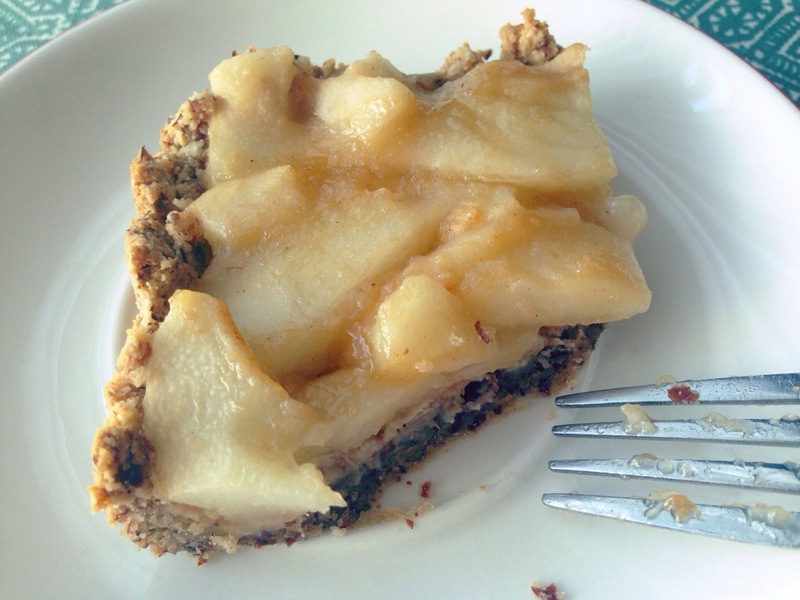 Fill the tart crust with pear filling and sprinkle with cinnamon. 8. Bake for another 15 minutes to finish off the filling. This tart would make a perfect Thanksgiving dessert to share. I really could use a round tart pan to make this prettier next time!